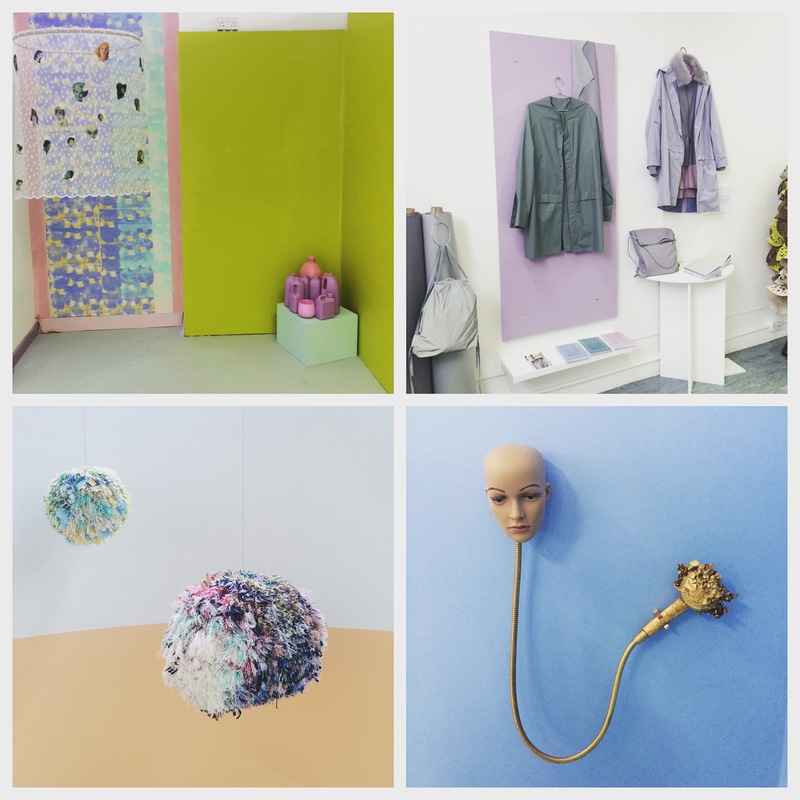 We had a fantastic time at the Gray’s School of Art degree show this afternoon. As always there were some interesting and thought provoking exhibits. Some fabulous use of colour really brightened up our rainy Sunday afternoon. Well done to everyone for all their hard work! 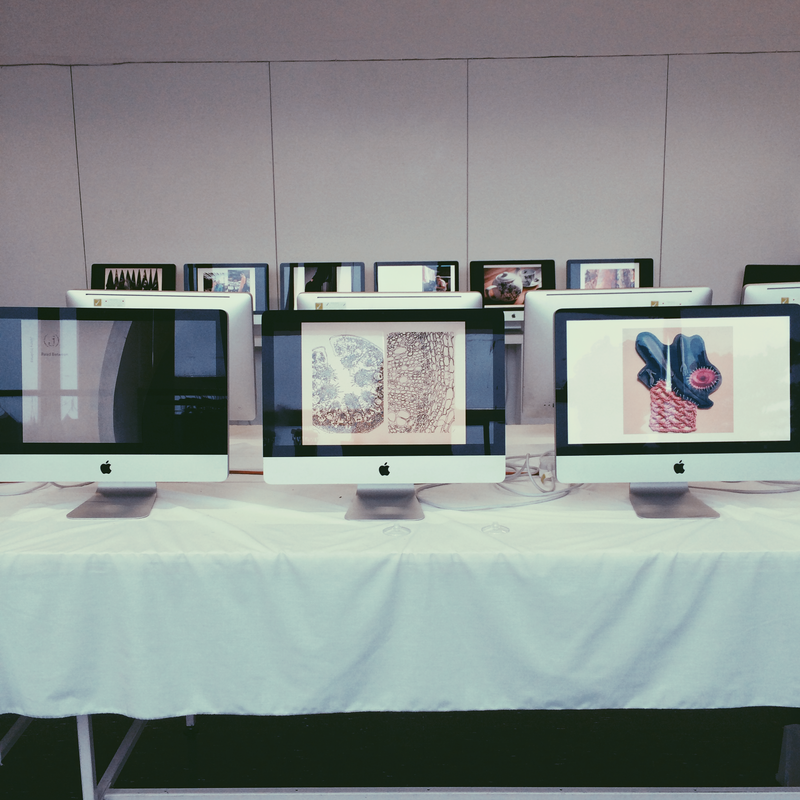 It was great to see the students’ inspiration, mood boards and the story behind their designs displayed using electronic visuals throughout the fashion room. 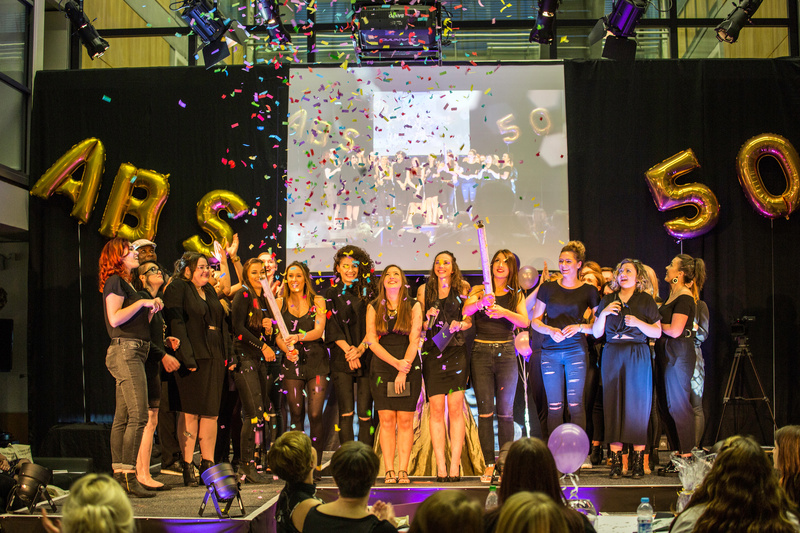 This really helped bring the fashion to life for those who missed the fashion show itself. 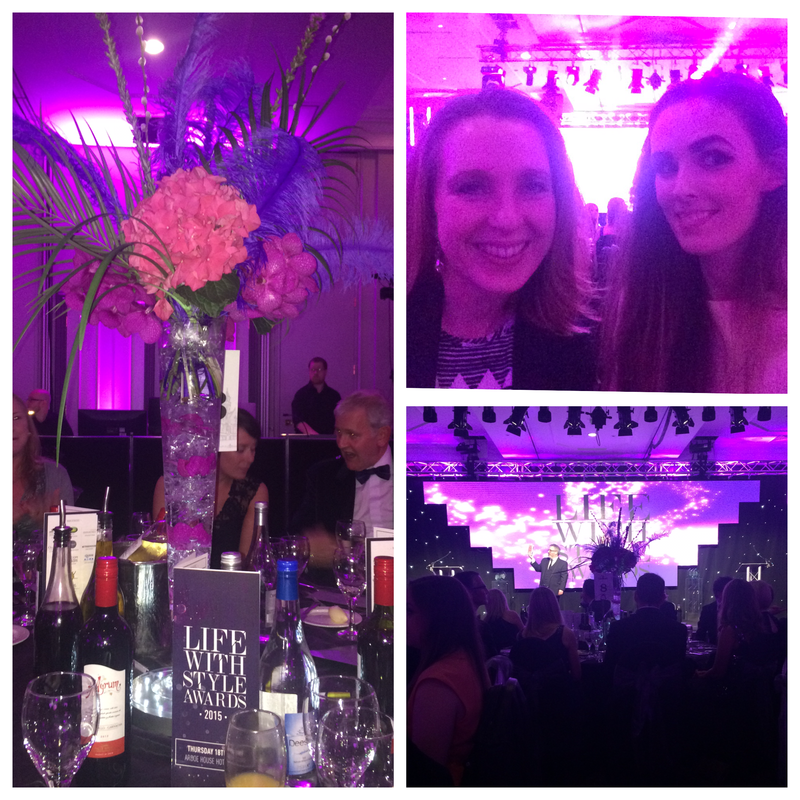 We had a fantastic evening at the Trend Life with Style awards and would like to thank Trend for hosting such a brilliant event! 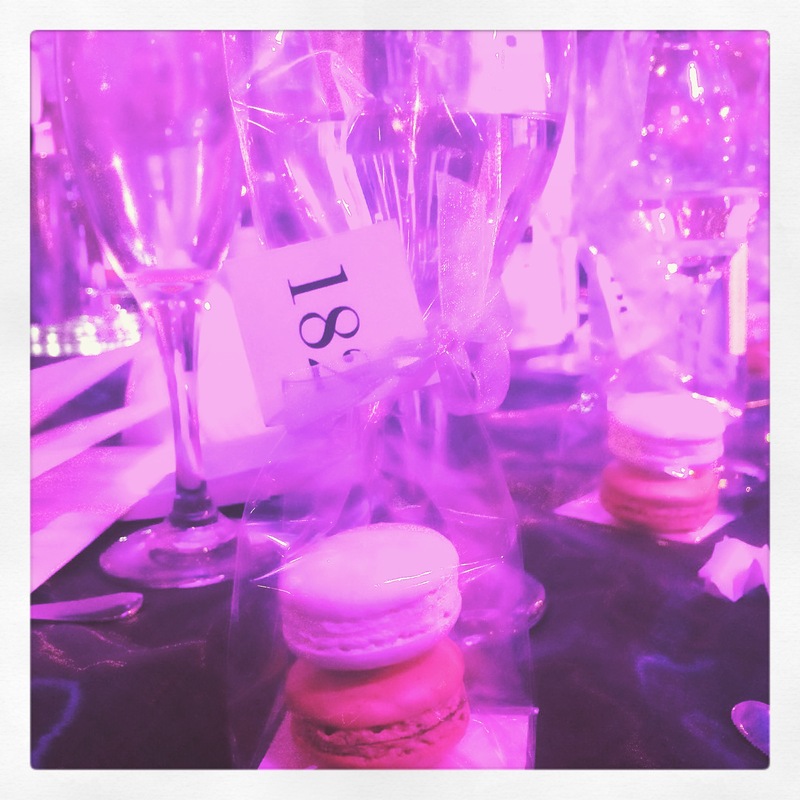 A huge congratulations to all the prize winners! 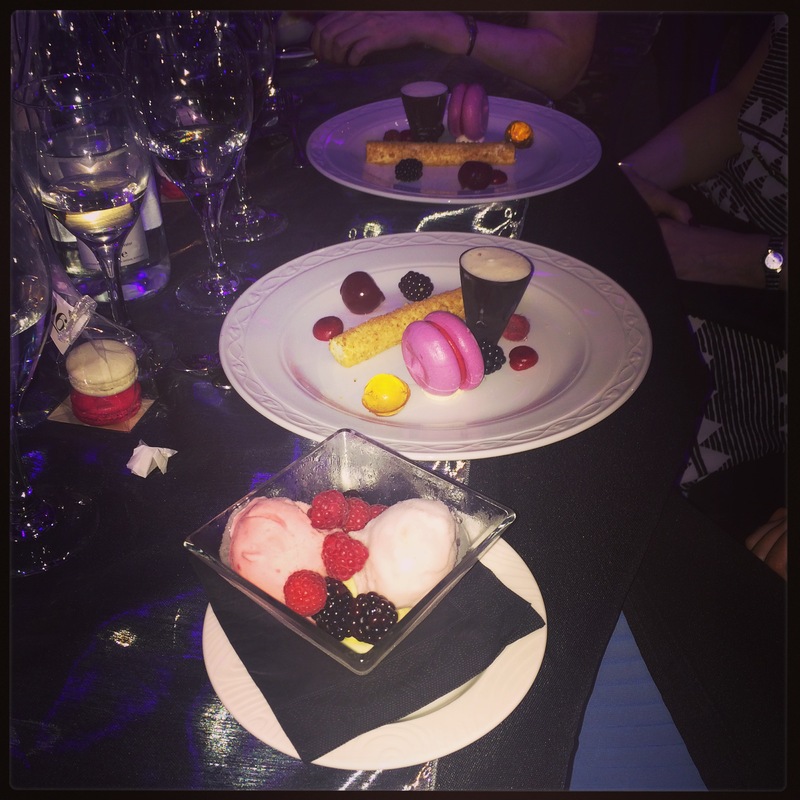 We’re already looking forward to next year’s event! 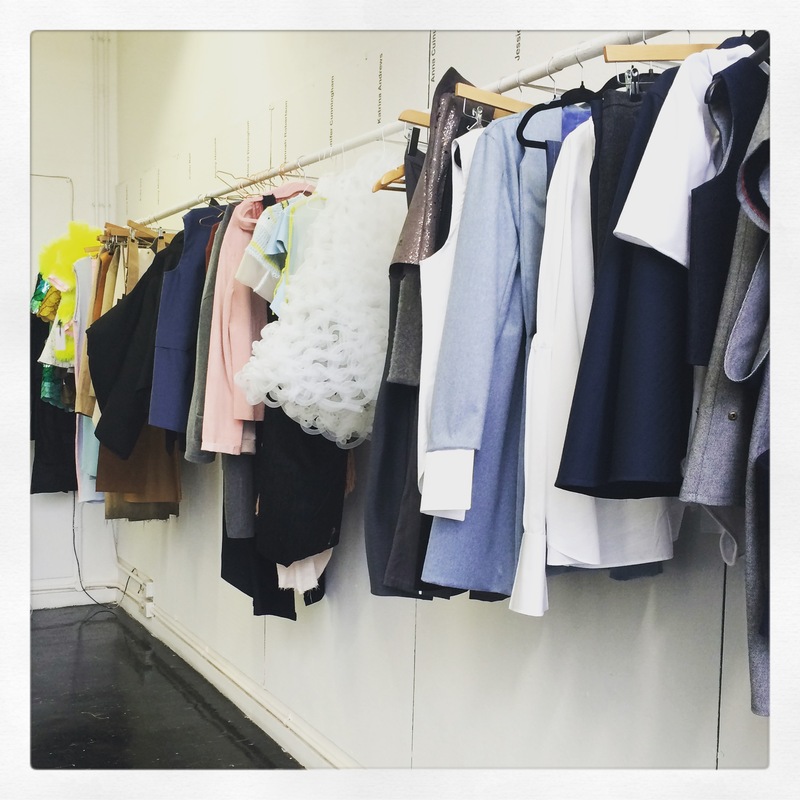 It’s more than two weeks since the fashion show and (in the absence of our students) we’ve been injecting some fashion into the building (which feels very empty with our students so recently gone off for summer). 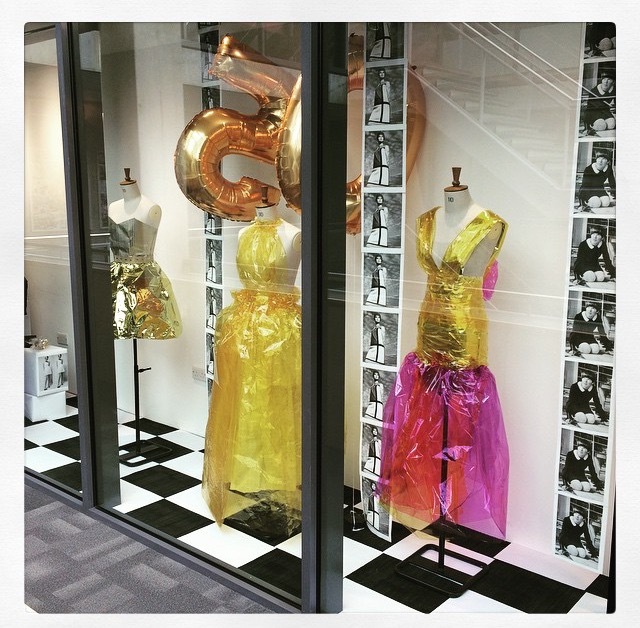 Here’s our Golden Show Fiftieth Anniversary window display! 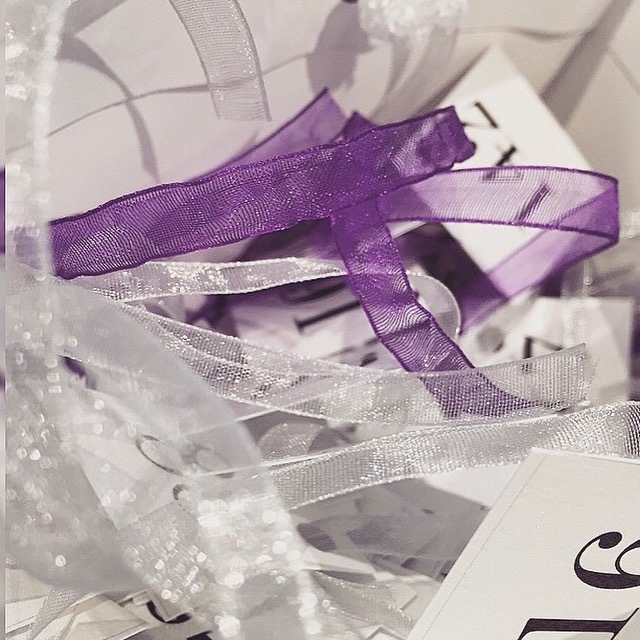 After all it would be a shame to waste the beautiful paper dresses our third years made for the fashion show; these have become lovingly known as the Quality Street dresses. 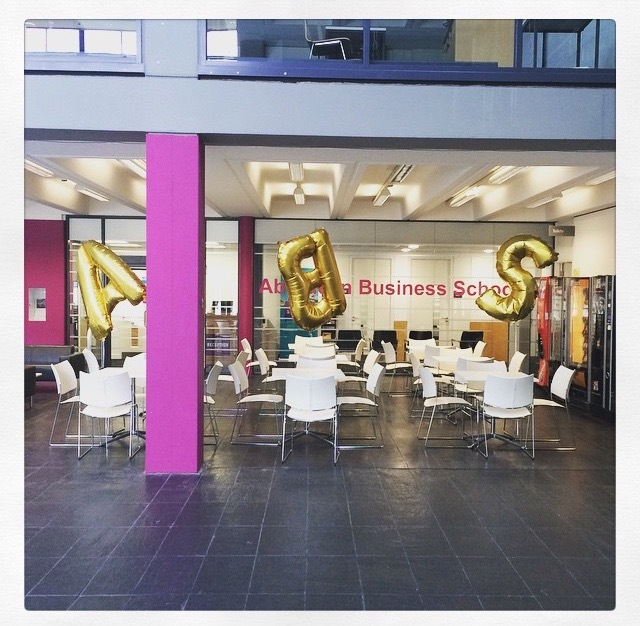 We also felt that the foil birthday balloons could be used to keep the Aberdeen Business School atrium looking suitable fashionable over the summer months. Have a fabulous summer everyone and we look forward to seeing you at the end of September! 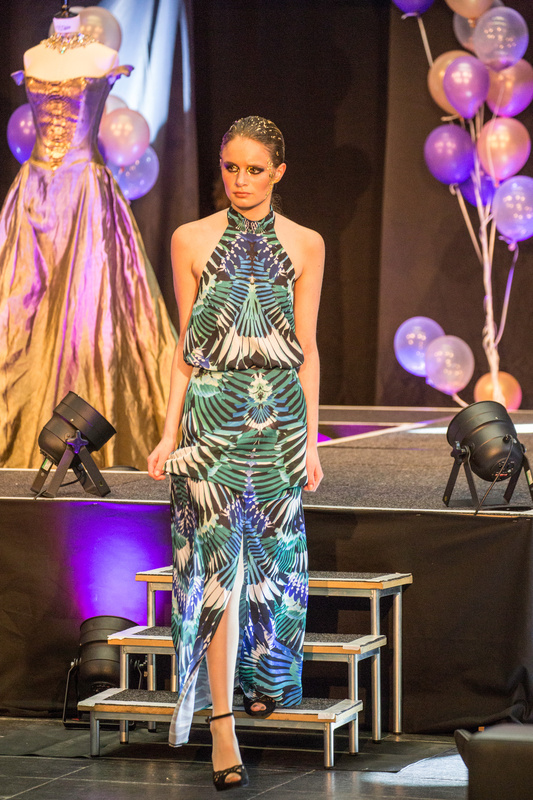 Feedback from our guests highlights the fashion and entertainment as their favourite aspects of the show; the latter included our fantastic MC, Wray Thomson, the talented singer/ songwriter Anna Barton, and modern violinist, Ramus. 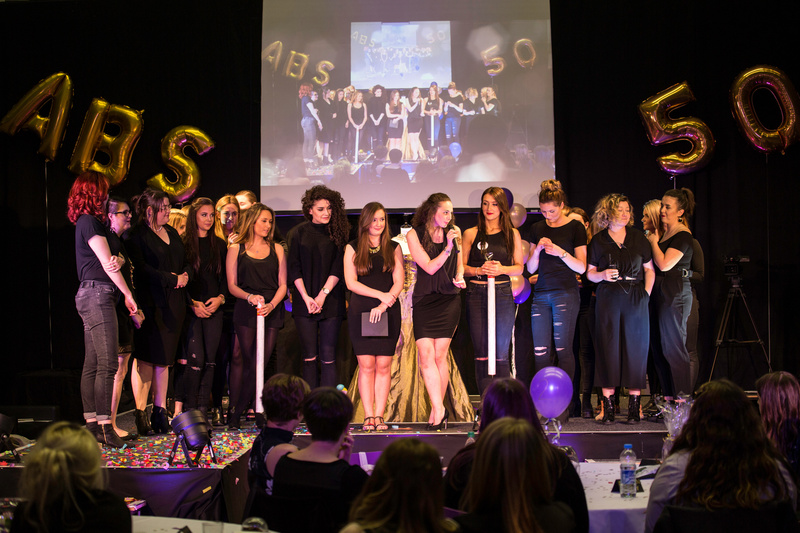 A huge thank you to our guests, entertainers, models and sponsors who collectively made the show a success! A special thanks to our main event sponsor AVC Media who helped us transform our venue into our vision of the Golden Show. More photos and videos to follow… The above images are with credit to our Golden Show photographer, Martin Parker.